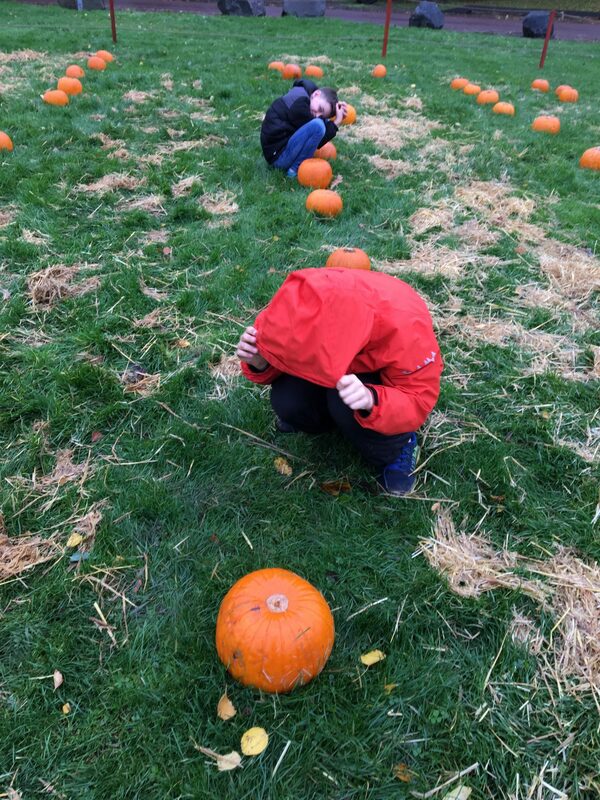 So we put our coats on and went to the pumpkin festival at M&D’s, Boy Three his pal J and The Panther, and headed off to dampest Lanarkshire. 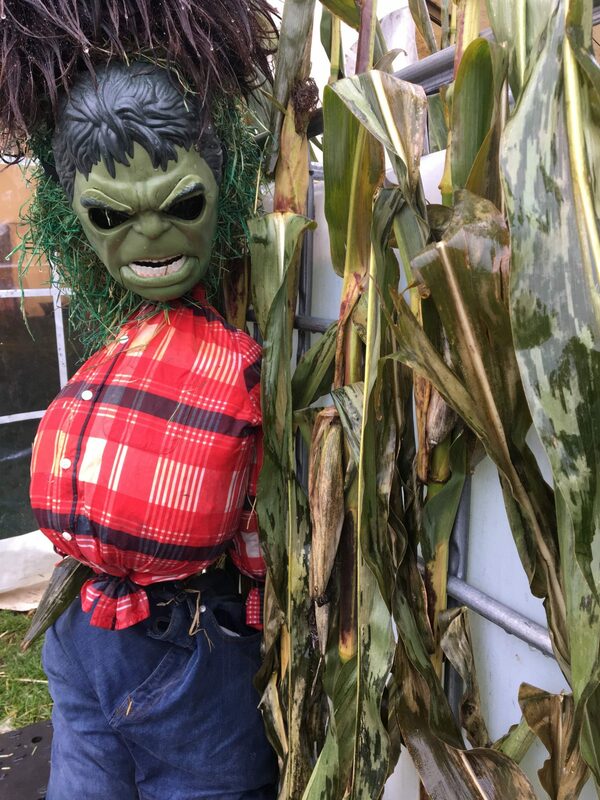 M&Ds is having a pumpkin festival this year, a much jollier addition to their seasonal offering of a spooky maze – Night Terror: Dream Decay – and a bunch of drive-in screamer flicks. 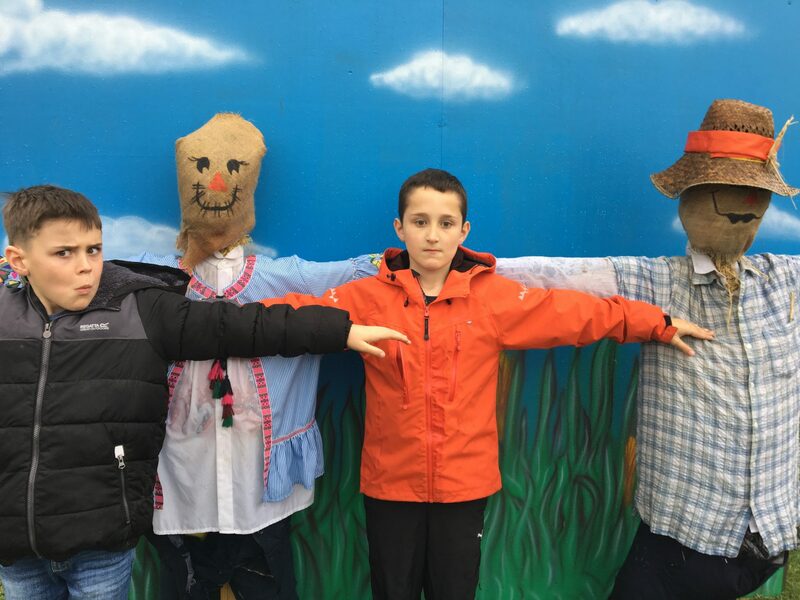 The boys’ cynicism (c’mon mum, we’re nine and everyone else is, like, a baby) vanished when Sammy the Scarecrow got everyone flossing. 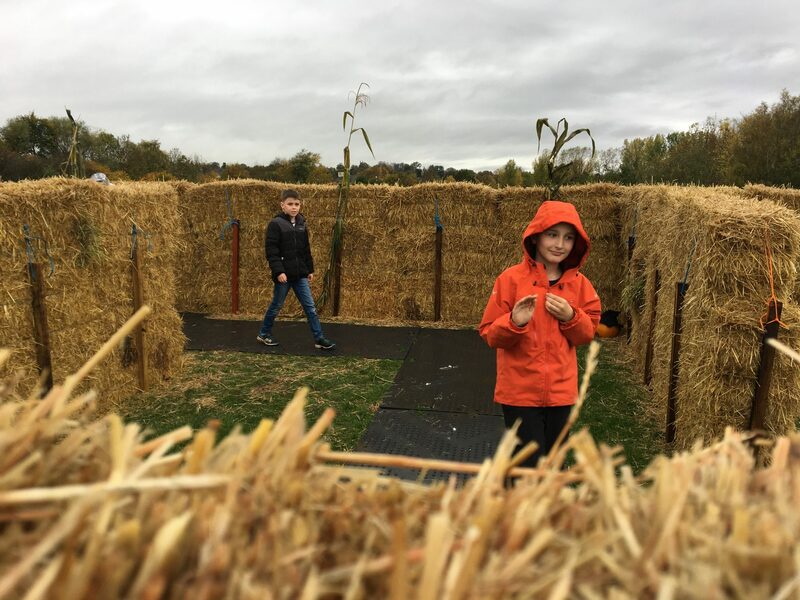 Pumpkin fans get to enjoy a Halloween show, some traditional games, a hay maze and, of course, the pumpkin patch, complete with wheelbarrows. 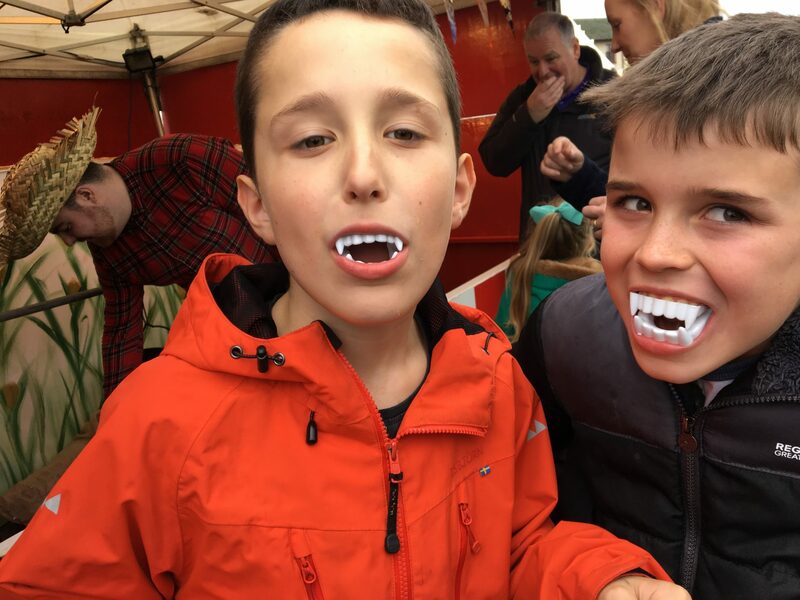 The activities are good-natured and fun, yes, certainly geared towards the younger audience, but it is an excellent family outing if you’re looking for something a bit different. If the weather spares you, there are benches and a big screen showing kids’ movies. 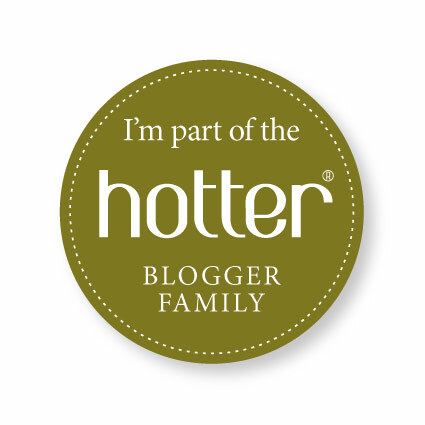 Add that to the delicious hot drinks and fresh donuts and you’re on to a winner. 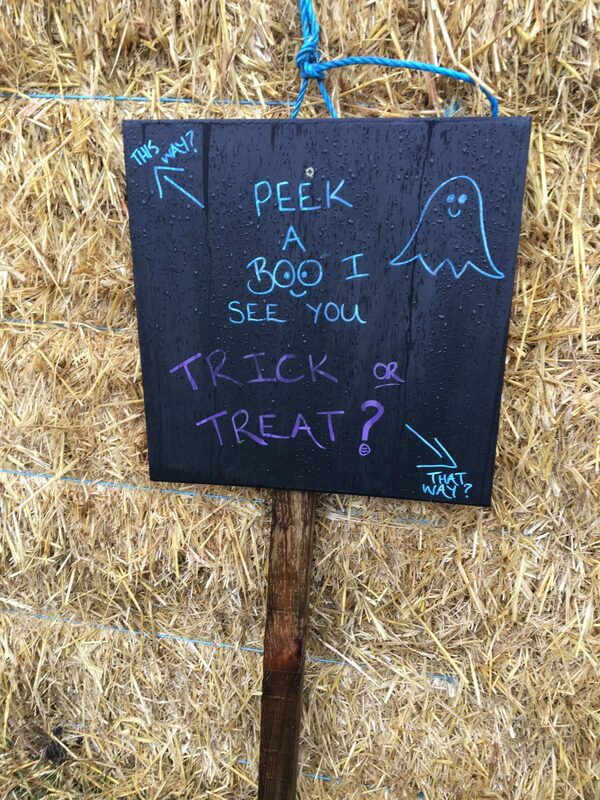 Plus, the scarecrows came from a nearby scarecrow festival (yes, obvs, lots of questions) so they’re either recycled or rescued depending on your attitude to Worzel Gummidge. Boys in the spirit so much they try to become pumpkins. And, of course, there’s the usual array of fun-packed (or stomach-churning depending on your point of view) attractions in the main park. 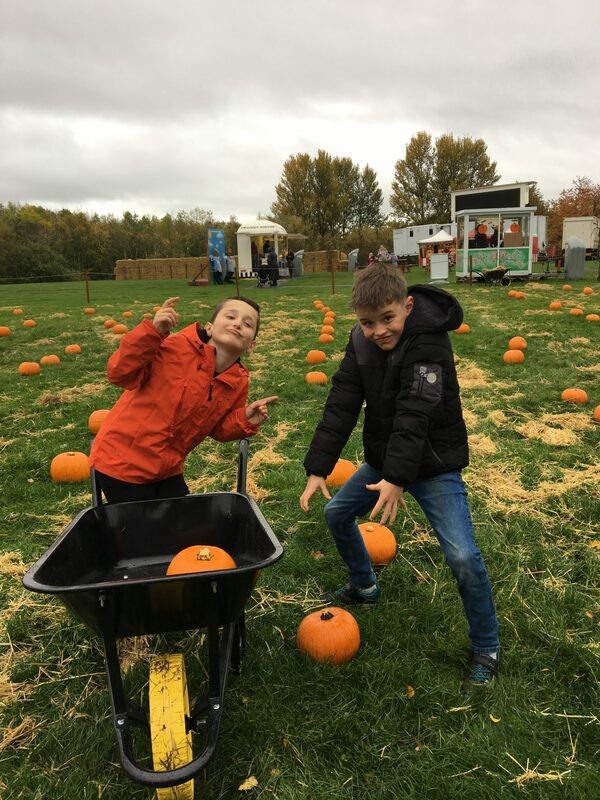 Pumpkin festival on til 21st Oct.